Four crew members were rescued from aboard a storm-battered sailboat in high seas off Nova Scotia on Monday night. At 8:14 p.m., Joint Task Force Atlantic tweeted the crew members were hoisted into a Royal Canadian Air Force helicopter by a search and rescue crew and were safely flown back to Halifax. Capt. Wayne Jarvis, air co-ordinator with the Joint Rescue Co-ordination Centre in Halifax, told The Canadian Press the U.K.-registered vessel had been located about 240 nautical miles southeast of Halifax. 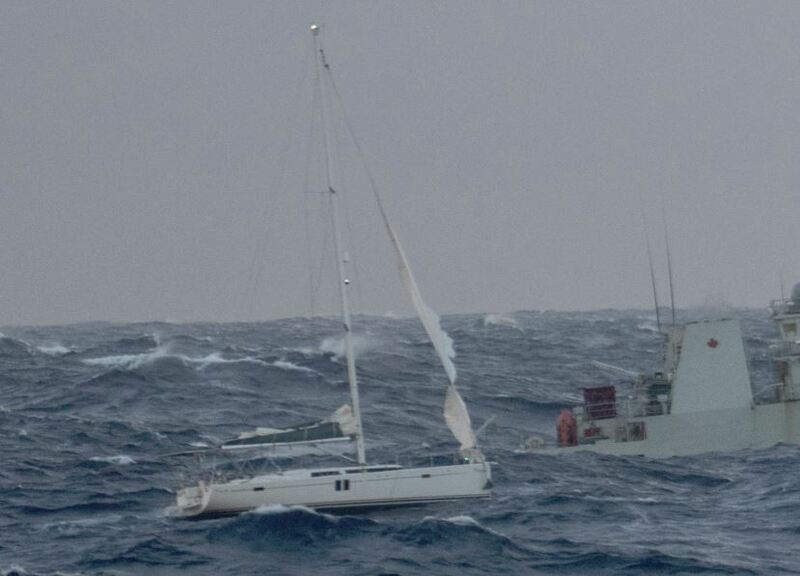 He says the 15-metre sailboat had been beat up in the stormy seas, and at 6 p.m. AT was in the "storm centre" with winds up to 50 knots causing high seas.